It also happens that in what has been called the "The Submerged State" - the part of government subsidies done largely through the tax code and other programs, Romney is one of the 47% who apparently, according to his words, needs to learn how to be independent. 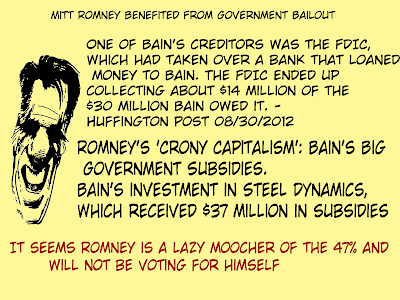 Two examples: Mitt Romney Benefited From Government Bailout: Report and Romney’s 'Crony Capitalism': Bain's Big Government Subsidies. 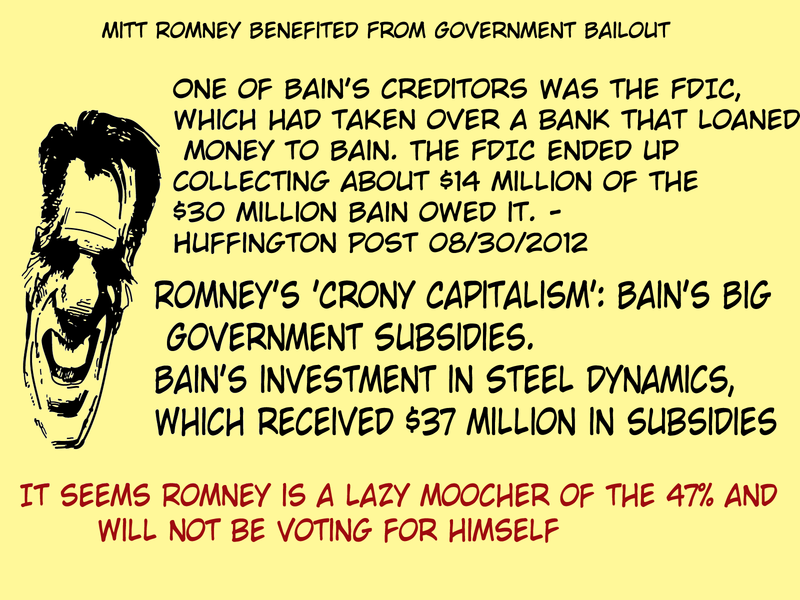 In other words Romney and Bain are massive corporate welfare queens. 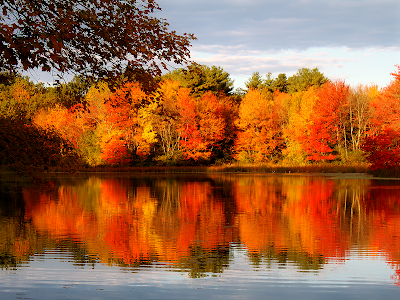 So is every millionaire that buys a mansion whose mortgage is subsidized by tax incentives that we all pay for. Romney and his mindless followers have surely drunk the kool-aid. They live in a world totally detached from reality and guess what, they refuse to take responsibility for their lives and the damage their sick world view is having on the USA.